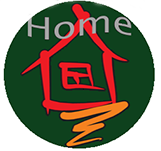 HomeofShanghai Housing Shanghai seeks an Online Marketing Specialist to be an integral part of the Team and to work closely with the Sales Manager, Consultants, Company Director and Web Developers to realize the online marketing strategy. The role of Online Marketing Specialist will encompass contributing to the marketing strategy specifically from an online and social media perspective, being responsible for the brand’s websites, social media and online presence. Own Website planning and coordination project. Keep track of developer work and suitability. Organization Relationships: Report to Company director and communicate with IT, marketing specialists, graphic designers, copywriters across the organization. Develop working relationship with all relevant functions. Most importantly the applicant must be willing to learn through training documents we will provide and must be motivated.